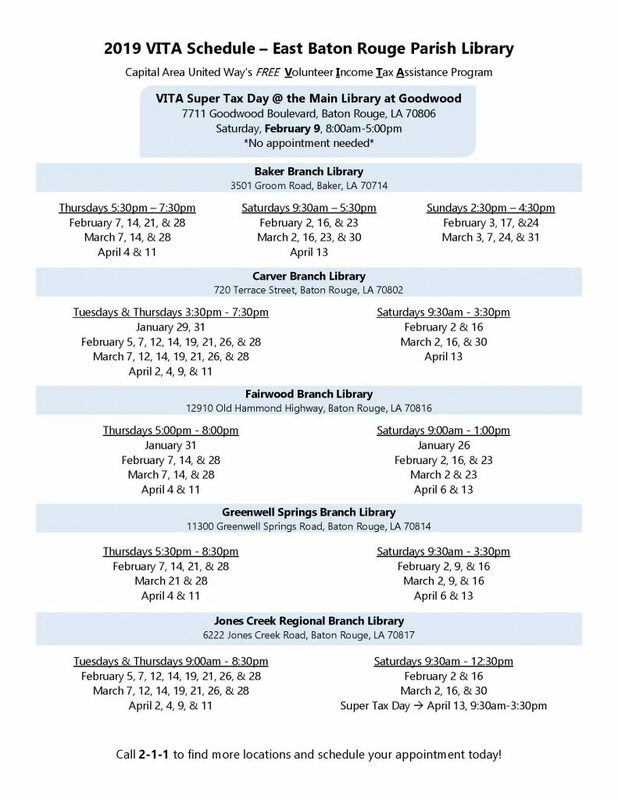 Don’t miss SUPER TAX DAY, February 9th at the Main Library on Goodwood! VITA will be doing taxes like mad from 8 AM-5 PM. Bring all your financial records and all your identification and maybe a snack, just to be safe – it’s hard to do your taxes on an empty stomach.